We thank the delegation of the Plurinational State of Bolivia for convening today’s meeting on women, peace and security. We are pleased that this important issue continues to gain prominence in the agenda of the Security Council. No other country knows it better than Afghanistan, which has faced nearly four decades of imposed conflict, resulting in weakened state institutions and severe collective trauma for our people. The impact of the conflict has been borne disproportionately by women, who saw their rights obliterated and voices repressed during the violent years of the Taliban rule. 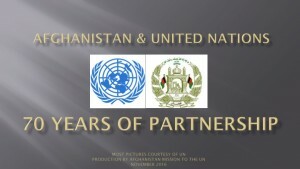 Since 2001, Afghanistan has secured tremendous gains towards promotion and protection of human rights, particularly of women. We have prioritized women’s empowerment as a strategic objective in our overall efforts to achieve lasting peace, security, and stability. Today, many women are vibrant voices of our society. Our core efforts in advancing the rights of women are primarily based in key national frameworks, including the National Action Plan on UNSCR 1325 and the National Priority Program for Women’s Economic Empowerment. Their successful implementation is reinforcing the continued efforts towards turning our women into drivers of peace. We wish to also highlight that our national action plan and national priority program are embedded in the Self-Reliance Mutual Accountability Framework, as the over-arching umbrella for our partnership with the international community. 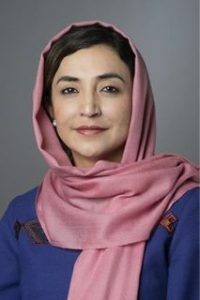 The advancement of women will be discussed at the November Geneva Ministerial Conference on Afghanistan. Increase meaningful participation of women in the decision-making process and executive levels of the Civil Service, Security, and Peace and Reintegration. Protect women from all kinds of violence and discrimination through the implementation and amendment of existing laws and policies. Prevent violence and discrimination against women by raising awareness and public outreach. Increase economic security for vulnerable women. Although we are in the early implementation stages of this plan, our second report indicates continued and steady progress. In the past year, our efforts to fully implement the anti-harassment law and the penal code enabled us to address the societal barriers that inhibited women from participating in the civil service. As a result, we have witnessed a prominent presence of women in this field. Today, around 27% of government employees are women. Moreover, nearly 18% of the High Peace Council’s members are women, with four women at the executive leadership levels, actively taking part in decision-making processes, in order to end the conflict and secure stability and lasting peace. We have made a concerted effort to substantially increase women’s role and contribution in senior government positions, across various ministries and agencies. We currently have a large number of women senior level officials in different sectors. As such, they are rendering a proactive engagement in Afghanistan’s long-term stability and development. This dynamic will continue to progress in a positive trajectory. Last week’s parliamentary elections saw the vibrant participation of women as both candidates and voters, offering a glimpse of the way in which they are helping consolidate democracy in the country. 28% of our new lower house seats will be occupied by women soon. Yet, women’s empowerment extends beyond the political sphere alone. In the past two years, we have increased the number of senior positions for women to serve in our security institutions. Women are a key part of our national security forces and police, and have demonstrated exemplary courage and sacrifice in countering international terrorism and upholding the rule of law. Women recruits have joined the ranks of our forces in large numbers, thereby bolstering our aim of achieving gender equality in all sectors. In the area of protection, we have undertaken concrete steps to introduce legislations on violence against women. We have amended existing laws and implemented the law of Eliminating Violence Against Women through our courts and other judicial institutions. Family Guidance Centers have been established in provincial capitals to provide legal advice, health, and psychosocial services for survivors of gender-based violence. In addition, we have also created specialized units within the Attorney General’s Office in more than half of all provinces. Such measures are positively impacting overall efforts to protect Afghan women. Initiatives such as public awareness campaigns, establishment of provincial committees, and military personnel trainings are all underway to mitigate and prevent gender based violence. Through the National Priority Program for Women’s Economic Empowerment, we are increasing women’s access to economic assets, providing them with support to own businesses, and assisting them to enhance their job skills and financial literacy. Additionally, we have also implemented and amended policies to remove legal and societal barriers to women’s economic participation. Despite our progress, we have a number of challenges ahead of us. The biggest impediment to fully implementing our national plans is insecurity, caused by violent proxies exported from outside Afghanistan. The worsening security situation has prevented us from delivering our objectives to all provinces and consolidating the gains of the past 17 years. We once again urge the Council to take appropriate action against the orchestrators of such insecurity based on international legal commitments and core values enshrined in the UN charter. To conclude, women’s empowerment and their active participation to strengthen peace and security is one of our core priorities. In recent years, we have strengthened this national will by expediting the implementation of our national programs to advance and strengthen the rights of women. Although we recognize the need for further progress, we will remain steadfast in this noble endeavour to consolidate our achievements. 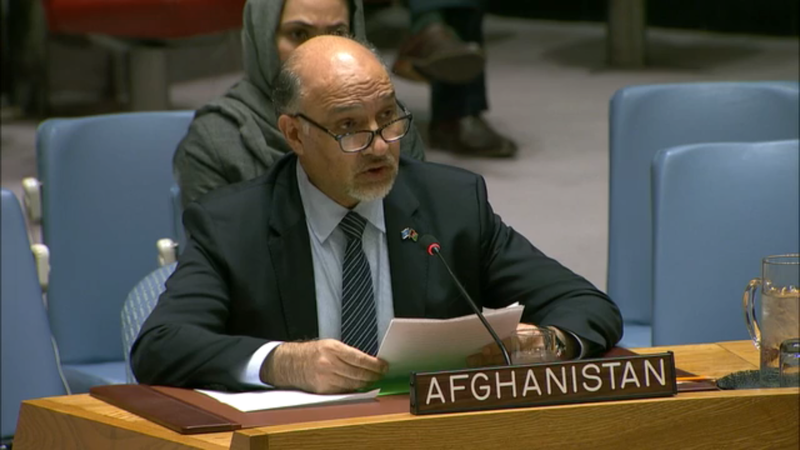 It is only through our persistent efforts that Afghan women will become agents of sustaining peace.